Why should you get a home inspection even if your house is brand new? 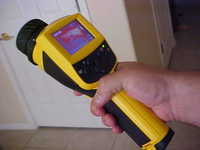 I recently performed an inspection on a new home in South Phoenix. When it was time to inspect and test the two gas furnaces, I made my way into the scudle hatch, traversed gingerly across the attic floor and positioned myself strategically in front of the two air handlers. (Don't try this yourself - call a professional home inspector!) 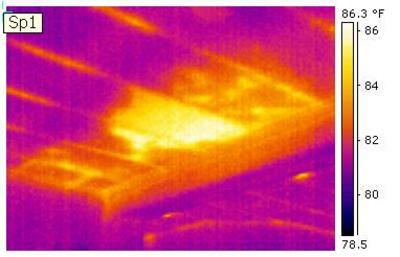 Visually checking the furnaces' components, drain lines and ductwork, everything appeared to be in good order. However, one small detail was overlooked. The gas line was never hooked up to the bottom floor furnace, leaving the unit inoperable. But this is a brand new home! Didn’t someone test the units after installing them? The tenants were heating their 2200 square foot, two story home with the smaller, second floor heater. The thermostat was set to 78 degrees upstairs. It was pleasant on the first floor but the second floor felt like July. Needless to say that the tenants gas bill will likely decrease once both furnaces are operating properly. Moral of the story; just because it's new doesn’t mean it's perfect…call your friendly Homewerx Home Inspector today! Home heating costs are expected to be significantly higher this winter due to recent hurricanes in the Gulf Coast, as well as other factors. The prices of natural gas, heating oil and propane are all expected to rise, with natural gas increasing approximately 41% over last winter's prices. Heating oil is expected to be about 27% more expensive this winter, and propane is expected to cost in excess of 20% more than last winter. In dollars and cents, this means the average U.S. family can expect heating bills to cost over $300 more this winter than last. Once we get through the cold weather, those of us that live in Arizona will be rewarded with yet more high utility bills this summer! But help is on the way! Homewerx Home Inspections is now offering a new service that can help homeowners keep those electric and gas bills affordable. It's called a Home Energy Tune-uP and it's easy and inexpensive to have done. Our Certified Home Inspector will collect certain data throughout your home such as information about your windows, doors, insulation, heating and cooling units, etc. The Inspector examines and measures all energy related parts of the house, and then uses the data to prepare a report describing what you can do to improve the energy efficiency of your home. For each energy-saving recommendation, your report will estimate the cost and potential savings. 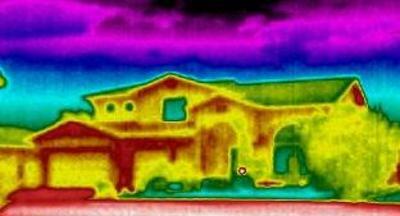 Anyone who plans to live in their home for more than a few years should consider having a Home Energy Tune-uP. It can easily pay for itself by reducing your utility bills, and we should all do our part to conserve energy! For more information or to schedule a Home Energy Tune-uP, call Homewerx Home Inspections today. The sooner you call, the sooner you can start saving energy and money!